This is one of my larger long neck pumpkins. Not the largest I have, but it is pretty close. 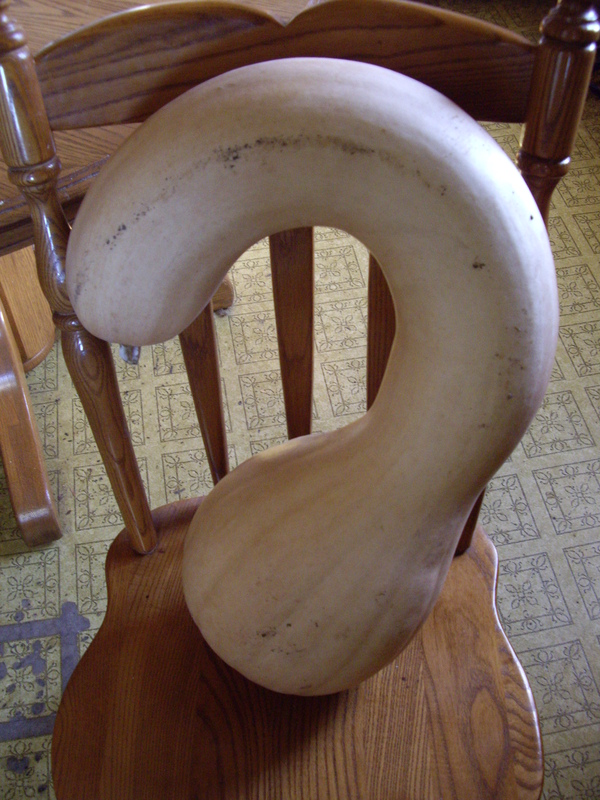 You can call it a long neck pumpkin, brown neck, or Pennsylvania Dutch crook neck squash. Or, you can just call it tasty. Last year a friend gave us one to try and bake things with it and report back to her on the flavor. Her and her family have a pumpkin patch and grow squashes and gourds and they were given seeds. So, I kept some seeds and grew some of my own this year. They went nuts and we have given away several, but I still have a lot left. It is time to cook and puree. They make great tasting pie and bars and muffins. Since these are thinner skinned than actual pumpkins, I peel them first, chop them up, and bake until soft. That is usually for about an hour to an hour and a half at 350 degrees Fahrenheit. But, you can cook them however you like. Make pumpkin or squash soup. Use it in place of butternut squash in a recipe. Make pumpkin butter. I think my neck long neck project will be trying to make pumpkin flour. I love fruit crisps. Blueberry, rhubarb, peach, it doesn’t matter. My favorite will probably be the kind I had growing up~ apple. A few weeks ago, I was out at my dad’s place to help pick pears and came home with pears and apples. What better thing to make? 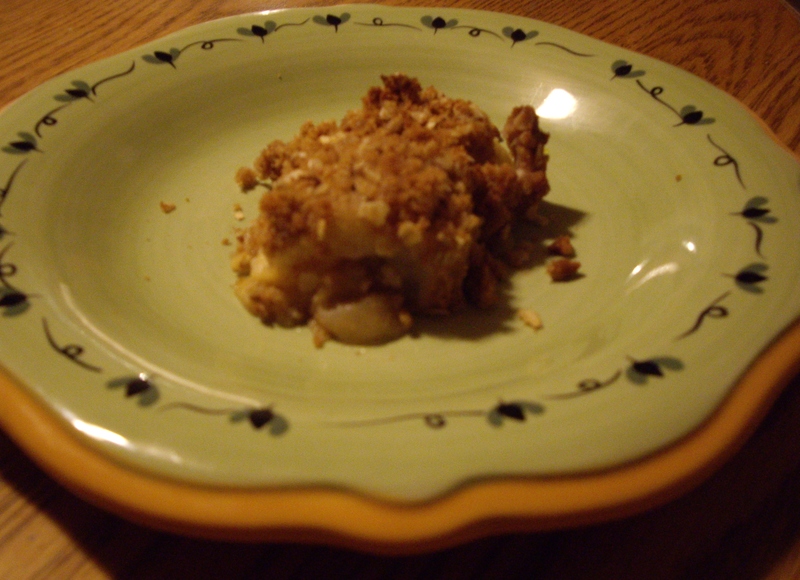 Apple Pear Crisp. The two fruits blend together wonderfully. This makes a big pan so plenty for a potluck or big family. You will need a 9×13 inch cake pan. Preheat your oven to 375 degrees Fahrenheit/ 191 Celsius. In a large bowl: combine the flour, brown sugar, oats, cinnamon, and nutmeg. With your hands or a fork, work in the butter until crumbly. Spread the peeled, cored, and sliced fruit in the pan evenly. Sprinkle the brown sugar mixture evenly over the pears and apples. Bake for 45 minutes in the preheated oven or until the fruit slices are soft when you insert a knife into a couple. Take out of the oven and remove to a rack to cool. Coconut flour adds a little more nutrition, but it will be drier and won’t end up making it clump together. The crisp will also darken quicker.